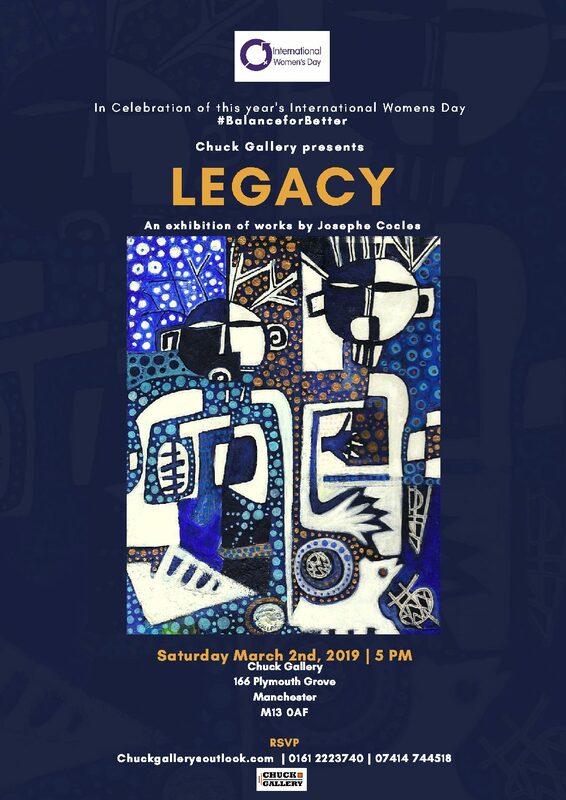 As well as the launch of Josephe’s exhibition, the evening will feature a panel of distinguished ladies and men in their respective fields discussing the 2019 IWD theme – #BalanceforBetter – helping to forge a more gender-balanced world. Guests are also welcome to share their views on this theme. **Special private viewing events by appointment only where the collection will be explored in greater detail will also be taking place throughout the duration of the exhibition. If you would like an invitation to a private viewing for yourself and/or guest(s) please contact the gallery – chuckgallery@outlook.com.